A pride of lions entered into a village at about 2am last night. The owner heard the cows mooing and got out to help. He discovered that a pride of 10 lions were in each corner of his cattle coral. The cow died later from severe head injuries. Maasai Association compensated the man for the loss of his cow. See the cows head for injuries from the lion. 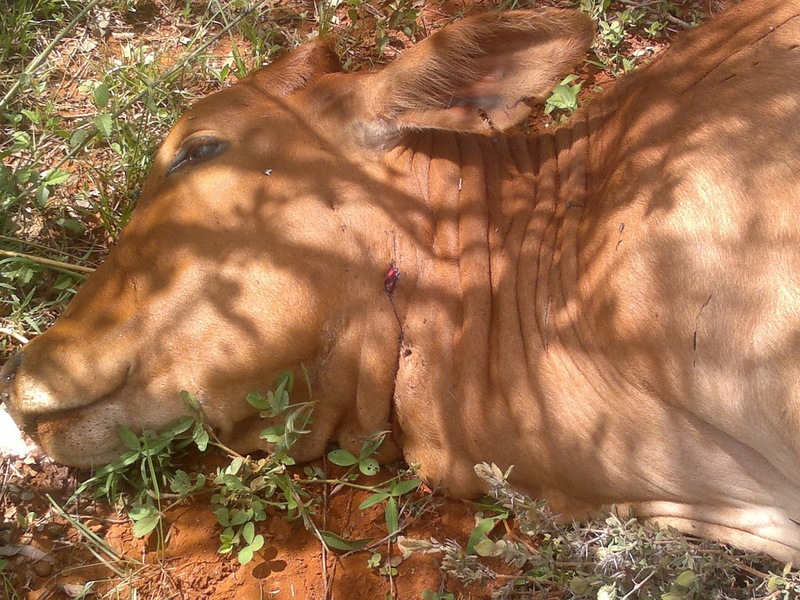 A pride of lions entered into a village last night and killed one cow. The warriors were called in to protect the cows. I was tipped off and rushed to the scene and persuaded the warriors to suspend the lion hunt. Together with the warriors we agreed to find amicable solution for human wildlife conflict in the area. I'm grateful that the warriors accepted my offer and suspended the hunt. Maasai Association agreed to compensate the Ole Munka for his cow. We also agreed to have the game scout unit from the Big Life Foundation come and chase the lions away to Chyulu Hills National Park. We agreed to hold a meeting next week with Richard Bonham and discuss how to maintain peace between the Maasai of Merrueshi area and the lions. Richard Bonham is the founder of Maasailand Preservation Trust based in Imbirikani Group Ranch, neighbor to Merrueshi Group Ranch. 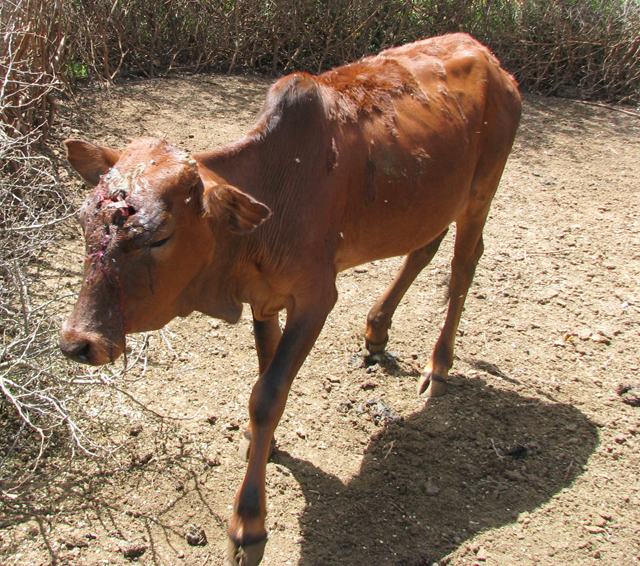 The picture above is of the cow killed by lions last night. See lion's bites on the cow's neck.